Faded, hazy headlights don't just affect your cars appearance, they can be unsafe, and can now fail the MOT test. More than a cosmetic issue, clouded lenses can pose a serious threat to safety, compromising night vision and reducing the effectiveness of your headlights by up to 80 percent, based on our measurements. 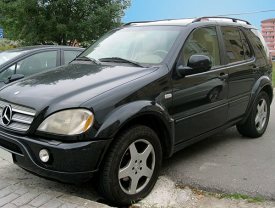 Headlights with an aged, cloudy, or hazy look are becoming increasingly common on vehicles that are 7+ years old. Just take look around a retail car park and you will spot this is an ever-increasing issue. Plus, most modern vehicles use replaceable bulbs with plastic lenses that are more prone to discoloration, rather than the more-durable glass sealed-beam units. There really are only two options; replacement or restoration. 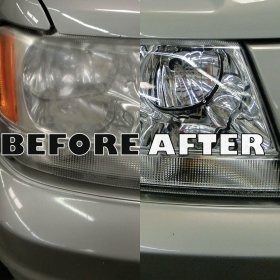 Replacement can be a very expensive alternative, while restoration can return headlights to like-new condition. and keep them out of our landfills. Ultraviolet radiation from the sun is the primary culprit in the headlight aging process, compounded by other environmental factors. The problem tends to be most serious in warmer, sunny climates, but we've seen plenty of evidence of it in northern regions. Remember, the headlights on a car are actually a safety feature. When driving in the dark or conditions of reduced visibility, we need to be able to see potential obstacles. And we need to see them clearly, as far ahead of us as is needed to allow us to safely avoid them. 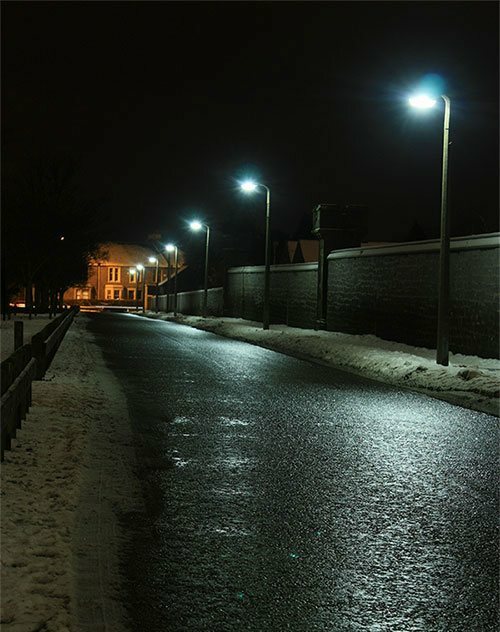 Unlike domestic house lighting, car headlights are designed to focus and aim the beam of light to illuminate what is directly in the path of the vehicle. This is similar to how spotlights work. But... imagine for a moment how poorly a spotlight would work if covered with a lampshade. This is because the lampshade acts to diffuse the beam of light so it appears softer and doesn’t seem to reach as far. That is effectively what happens when the headlights are faded and hazy, the beam of light is diffused. Watch the news report below, from WPTV in Florida USA, about how much hazy headlights can affect what you see on the road. For classic car owners, replacement parts are increasingly hard to come by – and for many, headlight restoration is the only option for dealing with unsightly, hazy headlights. This is why when we attend Classic Car Shows we tend to be one of the more popular sights for fellow attendees. Call our helpline above to find out if we will be attending a particular Classic Car Show, or to enquire about headlight restoration for your treasured, classic cars. Since 2016, depending on how severe the deterioration is, faded headlights could (and often do) fail the updated Headlamp Aim Test part of the MOT. 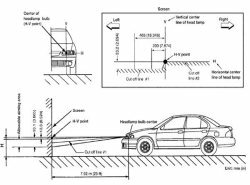 MOT Testers will use a device called a Beam Setter to measure how focussed and aimed the beam of light is. You can see a demonstration of this in the video below. The safety of you and your passengers is paramount, so don’t delay, book the best headlight restoration from GlasWeld today.